Behind the clean and tidy interface sported by Google’s online office apps, there are all kinds of features and tools you might not yet have stumbled across—and some of them can seriously improve your productivity. Here are 18 of our favorite quick tricks that won’t take long to learn but which will come in handy time and time again. If you’re tired of always seeing your company’s strangely spelled name appear with a red line underneath it, click Tools then Personal dictionary to tell Google Docs to ignore it in the future. One of the most useful features added to Google Docs recently is the Paint format icon, which you can see to the left of the zoom indicator (it looks like a paint roller). Highlight some text, click the icon, then highlight some more text to copy the styling over. Adding comments is all well and good (and very easy in Google Docs), but how can you be sure someone else has seen them? If you type the plus (“+”) symbol in a comment, followed by an email address, that person gets an alert telling them they’ve been tagged. Google Docs lets you put markers down inside documents so you can more easily find your way around big files. Go to Insert then Bookmark to place one and get the link to it. Use Insert and Link to link to your bookmarks (if you’re building a table of contents, say). Earlier this year Google added a bunch of fancy new templates to Drive, but depending on how you use the online apps you might not have seen them. Head to the landing pages for Docs, Sheets or Slides to get a look at the templates available to base your work around. 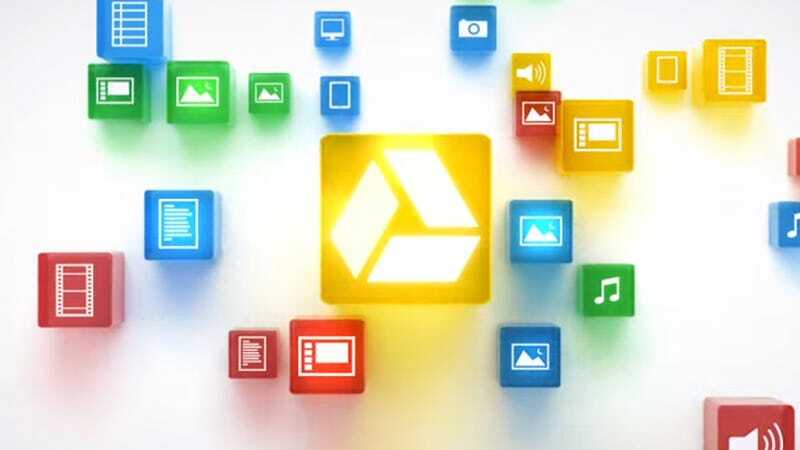 Did you know when placing hyperlinks inside documents you can link to other files in Google Drive as well as external websites? Click the link button on the toolbar, then instead of pasting a web URL, type out the name of the document you want to link to. Type “=image(“URL”) into any cell inside Sheets to drop a picture inside the cell itself. Add a number (e.g. “=image(“URL”, 1)) for formatting: 1 is image scaled, 2 is image stretched, 3 is keep the original size and 4 is custom size (so “image(“URL”, 4, 1600, 900) for example). You can save yourself a lot of typing by letting Sheets do the work for you. Highlight the first cells in a column containing a series (such as days of the week or successive numbers), then drag down the blue handle in the bottom right corner to continue it. For those times when undo doesn’t cut it, you can roll back to earlier versions of any type of document with the help of the See revision history entry on the File menu. At the foot of the revision list you can show or hide changes, and see a more detailed log of edits. Google Sheets isn’t necessarily the best place for your advanced text layouts, but there are a few tricks worth knowing if you are dropping text in alongside your numbers. One of them is the keyboard shortcut Ctrl+Enter (or Cmd+Enter) which inserts a line break. Highlight a series of cells in Sheets and down in the lower right-hand corner of your spreadsheet you’ll see the total figure has been added up for you—click on the sum total and you can quickly get the average, count, and maximum and minimum values too. Got a winning chart you just can’t wait to share with the world? If you’re emailing someone or preparing a presentation then an image might work better than a Sheets link. Click the drop-down menu inside the chart itself then choose Save image from the list. In Google Slides, as with Docs and Sheets, there are a ton of handy keyboard shortcuts that can save you some time. We won’t list them all but Ctrl+Up and Ctrl+Down (using the cursor keys) let you quickly reposition the current slide (replace Ctrl with Cmd on a Mac). You can easily edit images right inside slides: right-click and choose Image options to see what’s available inside the app. If you want to change the shape of one of your imported pictures, use the drop-down menu next to the crop button on the toolbar at the top. The image import feature in Slides (and Docs and Sheets) is more advanced than you might realize: head over to the Search tab inside the image import box and you can look for pictures with a particular dominant color, to fit in with the theme of your presentation. If you’re looking for the perfect font for a presentation (or indeed a document or spreadsheet) you don’t have to settle for the default set. If you click the font drop-down menu on the toolbar then you’ll notice a More fonts link you can take advantage of. One of the easiest ways of getting your carefully crafted presentation up on the big screen is via a Chromecast dongle on your network. Click the drop-down menu next to Present, then choose the Present on another screen option, then pick your device from the list. If one of your Slides calls for more than one of a particular object then there’s a quick way to duplicate something that’s already on screen. Hold down Ctrl (or Cmd on a Mac) then click and drag it with the mouse. It works on text boxes as well as images and shapes.